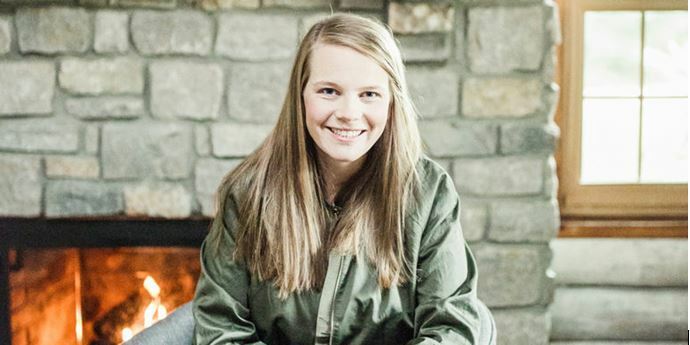 When she was only 11 years old, Emily Chapman went on a mission trip to Haiti that would forever change her life — and the life of her entire family. Upon returning home, Emily planted a seed that, after much prayer and consideration, ultimately led her parents — renowned Christian music artist Steven Curtis Chapman and his wife, Mary Beth — to adopt three daughters from China in 2000, 2003 and 2004. And her impact did not stop there; Emily’s efforts sparked in her parents an intense passion for orphans that led them to found an organization called Show Hope in 2003 that would help care for orphans by engaging the church and reducing barriers to adoption. More than 20 years later, that 11-year-old girl has grown up, graduated from Baylor, and now serves as executive director for Show Hope, overseeing an organization that has provided more than $24 million in adoption aid grants that have benefitted more than 6,000 children from over 60 countries. Emily — now Emily Chapman Richards, BA ’07 — earned her bachelor’s in international studies and religion from Baylor, then added a master’s in theology from Queen’s University before going to work with Show Hope. The organization is founded on the belief that each child has an inherent, God-given right to be a part of a loving, caring family. Their work is dedicated to restoring hope to millions of children living as orphans by breaking down barriers between waiting children and loving families. In addition to the adoption aid grants, Show Hope has also provided care for more than 2,600 children with acute medical and special needs in China, with more than 760 of those children transitioning into forever homes through adoption. Sic ’em, Emily!